An intimate Sunday Wedding in Melbourne is what Anton and Adriana wanted for their wedding. Friends, family, and a ceremony on site kept Anton and Adriana’s wedding simple and elegant – or so their guests thought. 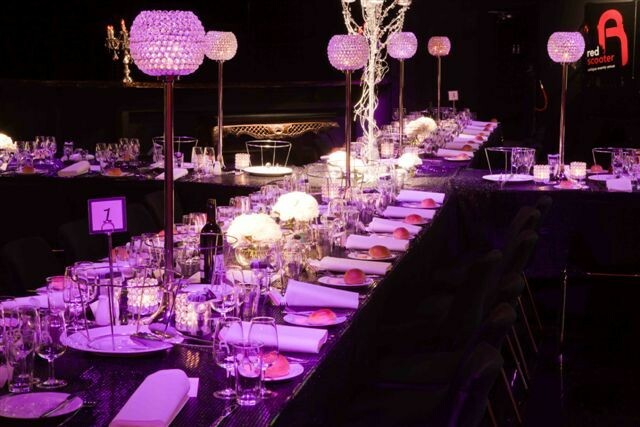 Elegant indeed…however by choosing to utilise a combination of our 3 event spaces, Anton & Adriana kept their guests guessing until the very end. Formalities concluded in our stunning Ceremony Room; and whilst the bridal party utilised the backdrop for photos with family, the guests moved to the Dakota Room for canapés and strawberry daiquiris. A dramatic reveal into the dining area is impressive enough, however Anton & Adriana opted for more WOW factor by utilizing our cross table set up – a real eye catcher! The night was topped off by a personalised Candy Buffet, all in colour coordination with the floral choices of the couple and accented with the bridal party bouquets amongst each treat. 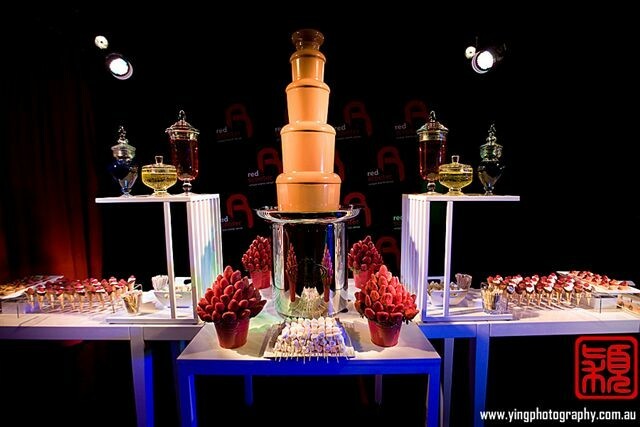 Read more about the delicious dessert station enjoyed by Anton and Adriana’s guests and how to add something extra to your Wedding Reception.